iOS 9 is the newest system for iPhone 6 Plus/6/5S/5C/5/4S/4 which has been available to developers since WWDC 2015, according to some new features of iOS 9 such as improved battery life, Apple music service, 6-digit passcode and more, you may eager to get the free upgrade when it will be released. But before upgrade to iOS 9, don’t forget to backup your important data such as contacts from iPhone, in case you lose them. First, you need to install iTunes (The latest version) on you computer, then connect your iPhone to PC with usb cable. And iTunes will automatically backup your iPhone data. In addition, you also can manually backup iPhone contacts. It is simple to backup your iPhone with iClouds, only need to tap “Settings” > “iCloud” > “Backup” > “Back Up Now”, you will be able to complete the backup. But the contacts can not be backed up separately. Except for two methods above, you also can backup iPhone data with the help of a third-party software named Tenorshare iAny Transfer. It is the best software to backup, transfer, sync, restore, and manage data in your iPhone. 1. Download and install the free trial version of Tenorshare iAny Transfer on your computer. 2. After iAny Transfer initializes your iPhone, you can select the data you want and click the “Computer” button. 3. Select the save path to save your data and it will start to transfer your selected data. Note: If you forgot to backup your iPhone contacts, whether those iPhone contacts can be recovered? The answer is yes, you still can retrieve Lost Contacts for iPhone 6/6Plus/5s/5/4s/4/3gs with the help of a iPhone Data Recovery software. And the main features of iAny Transfer is not only the backup function, if your iPhone broke up after iOS 9 update, you also can transfer those contacts to Android devices, another iPhone/iPad/iPod devices or iTunes, in other words, you can store your data under any emergency situations. This entry was posted in Back Up iPhone Contacts, Data Recovery on iTunes, Tips for iPhone Contacts and tagged backup iPhone contacts, Backup iPhone Contacts Before iOS 9 update, contacts disappeared after iOS 8 update, iOS 9 lost contacts, recover contacts from iPhone, recover lost contacts on iPhone on August 20, 2015 by Jack. Black Friday 2014 is two days later! You should have prepared for a long time which things to buy such as smartphone, clothes, food etc. and so many Black Friday sales you may miss some good deals like data recovery software. Tenorshare’s sale is live right now- Save $5 to buy any software on Any Data Recovery! I guess now you should are wondering why you need this deal and why this deal is the best. First, it will be a great gift if you cherish your data like files on computer/Mac, or iPhone/Android phone data. We can’t control the data won’t lose forever, but once it lost or deleted, we can rescue those lost contacts, photos, text messages and more files with the help of data recovery software easily and quickly. Second, you should also found some Black Friday sales of data recovery on the internet and maybe they offer a bigger discount, however, it is waste your money if you buy bad software although it has a lower price. Tenorshare owns the best data recovery technique which will help you get back lost data easily, quickly and safely, and the price is reasonable. That’s why Tenorshare sale is the Black Friday 2014 best buy! You can buy one or more of them, and each of them can save your $5! Use coupon code when you pay to get the discount. This entry was posted in Data Recovery for iPhone 6, Data Recovery on iPhone, Data Recovery on iTunes and tagged Black Friday 2014 best buy, black Friday 2014 sale of data recovery software, black Friday deals, data recovery software deals on November 27, 2014 by Jack. According to the statistics, contacts is one of the data most iPhone users easy to lose. The reasons of lost iPhone contacts are multiple, and also there are several ways to recover it. In this article, we will discuss how to extract contacts from iPhone backup. This way can get back lost contacts on iOS 8 update, factory restore, deleted, jailbreak on iPhone 6, iPhone 5 and iPhone 4, 3GS series versions. 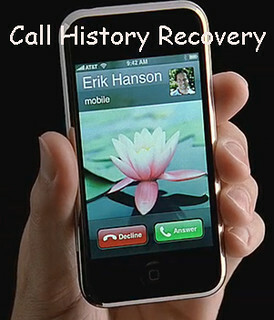 For more about iPhone contact recovery, you also can watch this video guide. If you have contact on your iCloud, then this way is the best choice for you. If you do not sure if you have enable iCloud Contacts sync, you can log on https://icloud.com the check the Contacts option, search your contacts to check if it is still here. If it is true, start to extract iPhone contacts from backup now. Unfortunately, your contacts do not in your iCloud. But you have a good habit of syncing iPhone with iTunes from time to time. Congratulations, you can extract iPhone contacts easily with an iPhone backup extractor program. Here is a note: please don’t sync your iPhone with iTunes before recover your contacts, or the lost contacts will lose forever. There are so many iPhone backup extractors on the internet, which should I choose? Here I recommend Tenorshare iTunes Data Recovery tool, not only this tool help to extract iPhone contacts from iTunes backup, but also extract other data as photos, note, and call history and so on. And I had to give it a couple of tries but it worked 100%. Here are few words to show how to extract contacts from iPhone backup. Firstly, download this program and install it on your pc. It is necessary to connect iPhone with computer, just launch this program, and check the backup files you need to extract contacts, click “Start Scan” to scan for the lost contacts. Secondly, after the scanning completed, you can preview the contacts, select the contact you want to extract, and click “Recover”, then you will be asked to choose a saved path. In the end, all the contact will be recovered on the local PC. This entry was posted in Data Recovery on iPhone, Data Recovery on iTunes, Lost Contacts on iPhone 4S/4/3GS, Lost Contacts on iPhone 5S/5C/5, Lost Contacts on iPhone 6/6Plus and tagged extract contacts from iPhone backup, extract contacts from iPhone backup files, extract contacts from iPhone backup mac, extract contacts from iPhone backup windows, extract iPhone contacts from backup, how to extract contacts from iPhone backup, iPhone contact recovery on May 15, 2013 by Jack. Does anyone know how to recover lost contacts on an iPhone? I lost all my contacts on my iPhone 5 for some reason. It means a lot to me, can anyone tell me how I can recover my lost contacts? I can use iTunes and I synced my iPhone to iTunes on my computer from time to time. So if there is anyone out there that can tell me how i can restore contacts from iPhone backup. Thanks. Yeah, you can recover lost contacts from iTunes backup because you have synced your data with iTunes before. Every time, you sync data between your iDevice and iTunes, all the data will be backed up as .sqlitedb files by iTunes. And the backup files will be updated to the last sync. That’s mean you just can extract the final backup file from iTunes. This type of backup file can’t be taken out or viewed unless using some program as Tenorshare iTunes Data Recovery. iTunes Data Recovery enables you to extract iTunes backup file, including contacts, text messages, notes, photo, video, call history and calendar, no matter you’re using iPhone or iPad and iPod Touch. The software is compatible with latest Windows 8 & 7, Vista, XP and Mac. To get your lost contacts, you need to download the free trial version of iTunes Data Recovery program. Here is the guide on how to recover contacts from iPhone backup files with iTunes data recovery software on Windows or Mac. Firstly, install and launch this program on your computer. All the iTunes backup will be detected and listed. Choose the right backup files and click “Start Scan”. Secondly, it takes you a second to scan the files. After the scan, all the data from backup files will be displayed in the windows. You can preview the content before recovery, not only contacts, but the notes, message, call history and so on. In the end, click Contacts catalogue, if you want to recover all the contacts, check the box in front of the Contacts and click “Recover “ button, and you also choose some of them to recover. Then you will be asked to save the recovered files in your computer, and all the contacts will be recovered quickly. 3 simple steps to recover iPhone contacts and most people have succeeded in this way! Accidentally deleted, iOS 8 update lost contacts, factory restore, failed sync are the common reasons due to contacts loss, therefore, please pay attention when you do these things. And, though it is easy to recover iPhone data, it is best to avoid losing contacts from your iPhone any more, therefore, it is nice to backup data on your computer now and again. This entry was posted in Data Recovery on iPhone, Data Recovery on iTunes, Lost Contacts on iPhone 4S/4/3GS, Lost Contacts on iPhone 5S/5C/5, Lost Contacts on iPhone 6/6Plus and tagged iPhone contact recovery, recover contacts from iPhone backup files, recover contacts from iPhone backup mac, recover contacts from iPhone backup windows, recover iPhone contacts on April 30, 2013 by Jack. Some of my call history was deleted by mistake and I need some of the info for my business. Is there any way to recover call history from iPhone? Don’t panic when encountering such thing. iPhone call history, including incoming calls, outgoing calls and missed calls can be recovered from iTunes backup or recover from iPhone itself. As long as you choose bread-and-butter iPhone data recovery program, you can recover deleted call history from iPhone quickly and simply. 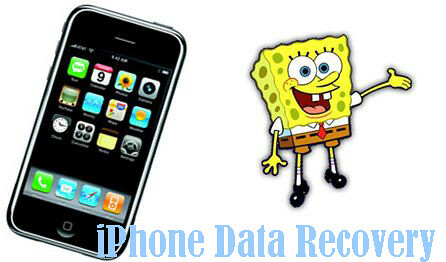 Tenorshare iPhone Data Recovery, support iPhone 5, 4S, 4, 3GS, is a practical tool for iPhone users to retrieve deleted call history. If you are Mac user, attention, all the iPhone data recovery program can help to recover data from iPhone iPhone 3 GS and iPhone 4, however, Tenorshare iPhone Data Recovery for Mac is the unique tool can perform iPhone 5, 4S data recovery. Step 1. Connect your iPhone with PC, and run the recovery software without opening iTunes or connecting it. Step 2. Select your device name then click “Start Scan” to find all your call history on the iTunes backup file. Step 3. When the scanning is over, files will be extracted from the iTunes backup file and displayed in categories including photos, videos, contacts, sms, call history and so on. You could choose the call history you want to get back and then click “Recover” to move on. Whatever files you want to recover is all up to you. It’s simple enough. Step 4. At last, you need to set a target path to “Save” all your recovered stuff in the pop up window. Note 1: This way not only for iPhone call history recovery, but to restore contacts on iPhone as well as photos, notes and so on. Note 2: Backup history or other files is the best way to avoid iPhone data loss. You computer can backup your iPhone automatically every time you sync via iTunes if you enable backup services, and the iPhone call history is one part of the backup files, therefore, you can easily recover your iPhone history by using the backup data. Learn more related tips like how to recover deleted contacts from iPhone, iPad data recovery, iPod data recovery and more on Any Data Recovery. This entry was posted in Data Recovery on iPhone, Data Recovery on iTunes and tagged how to retrieve deleted calls from iPhone, recover call history from iPhone, recover call history iPhone, recover deleted call history from iphone on March 27, 2013 by Jack.